When someone in my family asks me the question, “What’s for dinner tonight?”, I won’t hesitate to say “Chicken with Mustard Cream Sauce, baby!”. We eat chicken breast quite often just like millions of other families in all over the world. There are gazillion ways to cook chicken breasts. 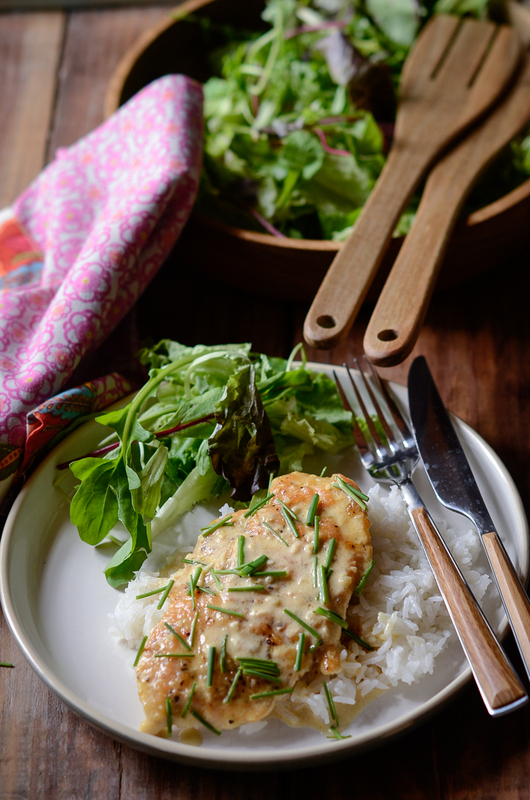 Here is one easy and *muy-deliciosa* chicken breast recipe that can please any family members in the house. The lean chicken breast is pounded to insure the tenderness, then salted and coated with flour, and pan fried in a little bit of olive oil. It literally takes 2-3 minutes on each side to cook the breasts. The sauce is made with white wine, chicken stock, cream, Dijon mustard, and a little bit of sour cream. If you love chives, please go crazy with them. They are absolutely divine with the mustard cream sauce. As you can see the chicken breast is so tender and juicy since it is pounded. Serve this chicken with mustard cream sauce over the bed of rice, pasta, or mashed potatoes. We are the rice lovers, so we serve the dish over the rice. 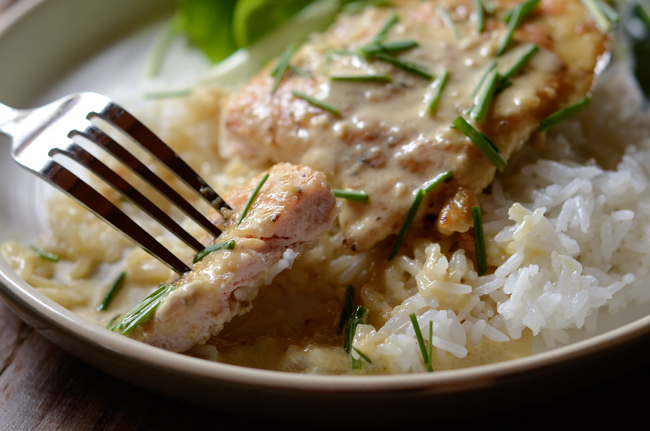 Fluffy white rice soaked with the delicious mustard cream sauce? Yup, my tummy is screaming for happiness. 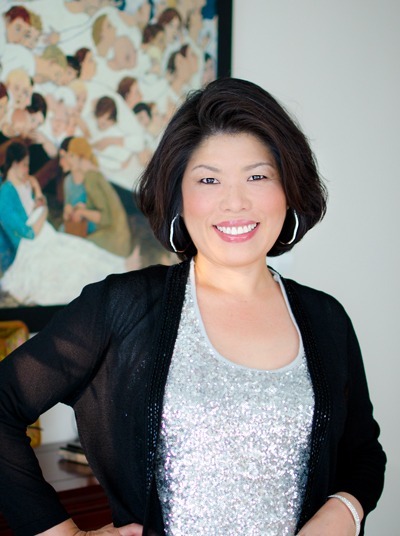 If you are worried of nutrition lacking white rice, you can serve with brown rice or quinoa. Perhaps simple green salad would be all you need to accompany this simple meal. Dinner is well served and everyone is happy. Now, I have to think about what other chicken recipe I should try next time. 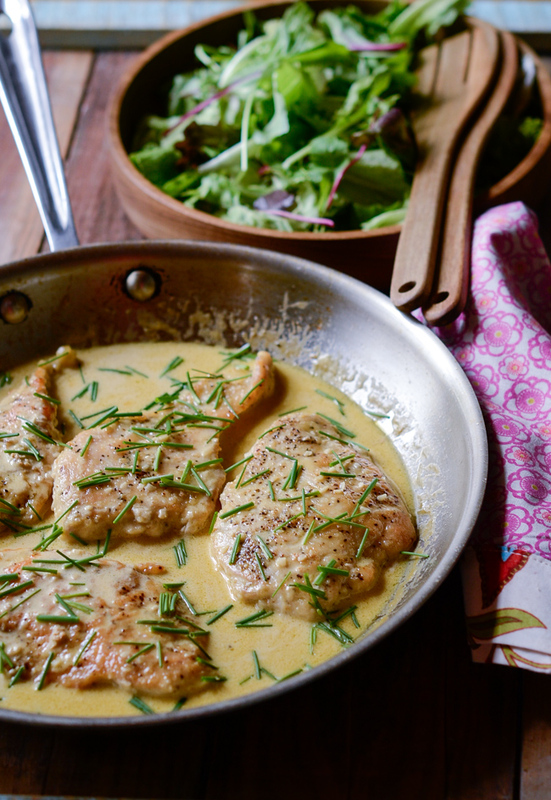 Hmmmmm…..
Tender chicken breast is pounded thin, then simmered gently in Dijon mustard cream sauce and fresh chives. Serve with rice, pasta, or mashed potatoes. 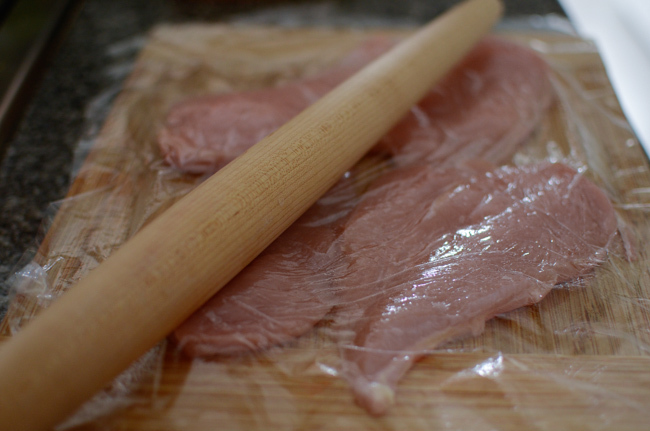 Cut the chicken breast halves horizontally to get the half thickness. Place a piece of plastic wrap over the chicken and pound them to tenderize. Season the chicken with salt and pepper, then coat them lightly with flour. Heat 1 tablespoon of olive oil in a pan over medium heat, Saute the chicken breast until done, about 2-3 minutes per each side. Remove from the skillet. Add the remaining olive oil in a skillet and fry garlic until fragrant. 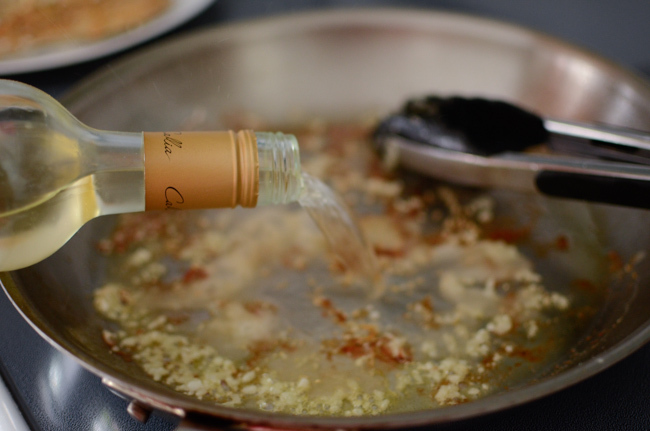 Splash the white wine and let it reduce. Add the chicken stock, cream, and mustard. Return the chicken to the skillet and let the whole thing to simmer for 3-4 minutes, uncovered. Season the sauce with the salt and pepper if needed. Lastly add the sour cream to the sauce and sprinkle fresh chives all over. Serve warm over rice, pasta or mashed potatoes. Mustard cream sauce is such good stuff, isn't it? Love it with chicken. Heck, love it with anything! Your version looks stupendous -- thanks! Holly, this dish would be a huge hit in my house! Your photos are gorgeous. Wish i could lick the screen! 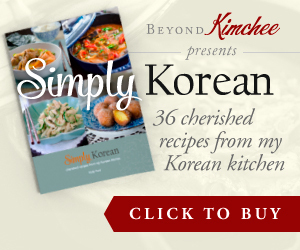 Hi Cheryl It is indeed easy and tastes great. It goes well with any starch of your choice. Hope you like it!